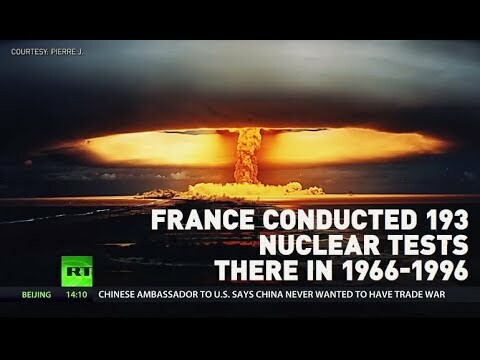 ‘It shattered our whole life’: France faces lawsuit over 193 nuclear tests in Polynesia | We Seek the Truth! France is facing a lawsuit over 3 decades of nuclear tests conducted in the country’s overseas territory of Polynesia. The islands’ former president says the tests caused irreversible damage to locals – branding them ‘crimes against humanity’. However, Paris denies the nearly 200 atomic tests had any harmful impact on the archipelago’s environment.